Premier retailer of carpet, hardwood, laminate, luxury vinyl, enhanced vinyl flooring, sheet vinyl, cork, tile and window coverings. 80 years of combined flooring experience! PCI compliant. 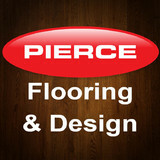 Flooring America is a division of CCA Global Partners, the nation’s largest floor covering cooperative. With more than 550 independent, locally-owned flooring retailers, Flooring America’s member stores work hard every day to become the most recommended flooring stores in North America. The Cabinet Center offers cabinets for the kitchen, bath, laundry, and your personal bar. The Cabinet Center was established in 2012, but the foundation business was Carpet One which has been serving you for over 25 years. 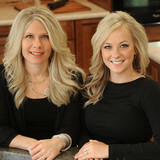 We are locally owned and operated and have been designing award winning, personalized cabinets for 20 years. Rest assured we have everything you could ever want in your cabinet project. Contact us today so we may help you with making your remodeling dreams come true. Covering Broadway has been pleased to offer the latest in top quality flooring and window coverings to homeowners and commercial enterprises in Carbon, Stillwater and Yellowstone Counties for over 15 years. The vision of owners Mark and Sandy Brajcich, Covering Broadway opened as small, but beautiful showroom in the heart of historic Red Lodge’s Main Street (Broadway) in the summer of 2002. The space doubled with an addition in 2008 to expand our extensive selection of products. From the fully functioning kitchen to the comfortable easy chair in front of the fireplace, customers enjoy a stress-free, friendly, no pressure environment to shop and design their projects with the help of our skilled staff. We are proud to offer an enjoyable experience and exceptional service at competitive pricing. We sell quality home furnishings at an affordable price. Brands include Flexsteel, Leahter Italia, Classic Home, Karastan and more. Kismet Fine Rugs is a family-owned business. Every rug is hand-crafted and selected. Each piece has its own story and is exquisitely beautiful. Kismet has fine wool and silk rugs, made in traditional style, western, contemporary. Our new and antique collections are exceptional and our ability to create custom rugs is unparalleled. Flooring design showroom. Specializing in tile design. Carpeting is subject to a significant amount of wear and tear, so it’s crucial to make sure a new carpet installation is done correctly, or that an existing rug is maintained properly. Enter Molt carpet dealers. From carpet repair to custom carpet design, these professionals specialize in anything and everything that is carpeting, and can help ensure that your Molt, MT home’s new rug starts off — and stays! — in great shape. Carpet dealers in Molt, MT help homeowners choose the correct carpet covering for their floors, and also assist with carpet maintenance. This includes determining factors like material, carpet pile, durability, color and size, as well as helping with any custom carpet design. After completing the initial installation (which includes removal of the old flooring, if applicable, and surface prep), they may also handle follow-up maintenance requests such as carpet cleaning, carpet repair and carpet stretching. Find a carpet dealer on Houzz. Narrow your search in the Professionals section of the website to carpet dealers in Molt, MT, and read reviews and ratings for pros in your area.